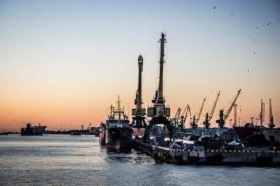 Klaipeda this year retains the number-one spot it held in 2017 among all Baltic seaports in terms of cargo traffic, informs LETA/BNS, according to figures released by the ports. The port of Klaipeda handled 10.79 million tons of cargo in the first quarter of 2018, up 4.7% on the same time last year. Riga posted an 11.6% decline in cargo traffic to 8.22 million tons. Ventspils recorded a 30.8% drop to 4.91 million tons, while cargo traffic via Liepaja grew by 22.3% to almost 2 million tons. Tallinn saw first-quarter cargo volumes edge up by 0.3% to 5.01 million tons.